I used to lead introductions to the Landmark Forum. There is a part in the introduction where you attempt to distinguish for people that most of what's knowable for a human: you don't know. Moreover: you don't know what you don't know. Then you ask a simple question: Can you give me an example of what you don't know that you don't know? In most groups there is at least one person who tries... Everybody laughs... because the answer to that question can only be: I don't have an example... You can give an example of what you used to not know but now know... but that is an answer to a different question. Now, one of the beauties of reading is finding stuff that you didn't know that you didn't know. But I didn't know that there was something to know... it was just how it was... bad news for me, bad news for them. Nothing stuck. Sometimes it takes three instances to fully flash out an insight. When you get a glimpse of what you didn't know that you didn't know is called an insight. If you turn it into effective action, i.e. use the insight: it becomes an upsight... a made up word. Learning is like planting a seed. It needs the ideal conditions for it to become a plant. Most people have nowhere near the ideal conditions to guarantee that a seed will become a plant. So how does it work? Let's look it through the method of inversion. What do you need for the seed to not sprout and that you should not have a plant grow from it? 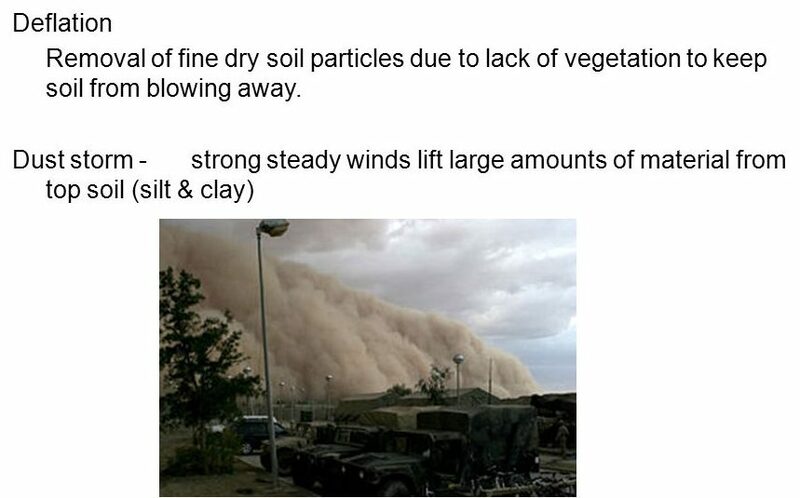 Now what makes the soil "not dry?" Watering which, in brain matters is attention, intention during the planting and right after. What makes the soil not too loose: other plants' roots... Just like the Sequoia groves 1 in California intertwine and secure the whole grove, including new grows... knowledge needs other plants and their roots to keep it from blowing away. 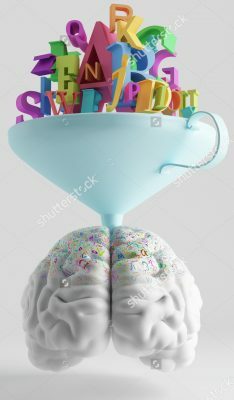 I used to daydream about having a big funnel attached to my head and pour in knowledge... But now I know that it would be useless. Any knowledge that is entered needs to be activated... And that is work. My method is to teach it to integrate it. I do that on my calls, I do that in my coaching posts, I do that in my articles. I diligently activate the knowledge... the little new plant, so it can integrate into my existing knowledge base. Interestingly they never realized that I had a learning difficulty and still do. Because I sounded so darn smart as I was teaching them. But I was learning... Teaching what I needed to learn. I did the course to learn how to PhotoRead. I found out that it is as close to the funnel method I had dreamed about as a child as it can get. Also as useless. You prepare the soil (your brain) by scanning the title, the author, the table of contents... It is also similar to eating: if your stomach/brain knows what food is coming, then you are more sure it will be provided the digestive juices that particular food needs to digest properly. You can't remember a piece of knowledge if you can't connect it to existing knowledge. I have a classmate in my exercise class, Kyoshi... I could not remember his name, until he connected it for me to "key"... now I will never forget it. you build the knowledge foundation little by little... with conscious thought of connecting each piece to many other pieces. This is why the 67 steps coaching works. It starts to create a knowledge base, a rich soil, interconnected. Everybody starts on a different level of soil-readiness. Some will never build a fertile soil... because they don't understand. you keep on adding new knowledge. And you keep adding opportunities to use the knowledge. This is akin to watering, weeding, and adding stakes to hold up flimsy plants. Your life is an accurate expression of the knowledge base you have. Insights, upsights... the life blood of a life well lived. One last piece: if you try to add too many different plants, because you are in a hurry, or you are frazzled, or hyper, or behave ADHD, you work against yourself... You'll build nothing. Many students did not start growing until I managed to calm them down with dietary and sleep changes. The energized water also helps with making your coherent. Because unless you are coherent, all the plants will die... And that is your life... a wasteland. In the Health report I offered a couple of days ago, I look and see what makes you the way you are, in the area of health, behavior, emotions, so you can provide your "soil" what it needs to become a fertile ground on which you have rich harvests. I am not working on your health, on your food, on your supplements... I work on YOU... because YOU want to be all you can be... and that is what I serve with that examination: helping you become the person who can become all you can become. What is the main difference between people who are worth a damn and people who aren’t? The sequoias have a matting, shallow, and wide spreading root system. There is no taproot. They only root to 12 to 14 feet deep even at maturity. 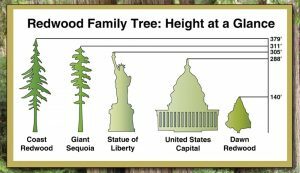 A mature sequoia's roots can occupy over 1 acre of earth and contain over 90,000 cubic feet of soil. What's so Jewish about the Sequioa trees? 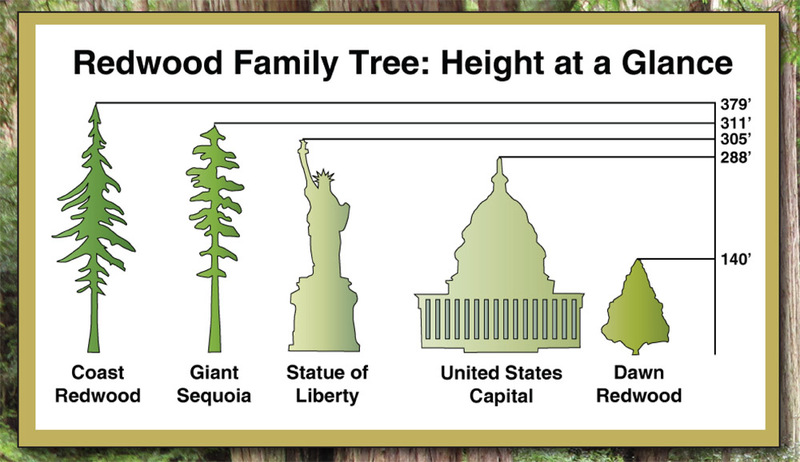 ...what most people don’t know is that Sequoia trees have very shallow roots. 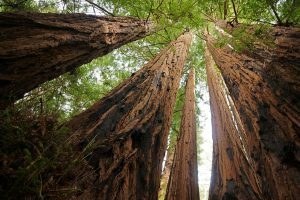 A Sequoia’s roots “are so shallow that it can hardly stand up to a strong breeze” says Rabbi Dannel Schwartz. So how is it that this extraordinary species is able to grow so large and live so long? The answer is simple – the trees spring up in groves and their roots intertwine. Or as Rabbi Schwartz says “they hold each other up – they give each other the strength necessary to withstand the angriest winds.” So it is with people, so it is with knowledge. Next Next post: Are you a Seeker? Restless, anxious, never quite there?